With it being so easy to get out your phone, and scroll through your feed, looking for motivation on Insta is a common activity. 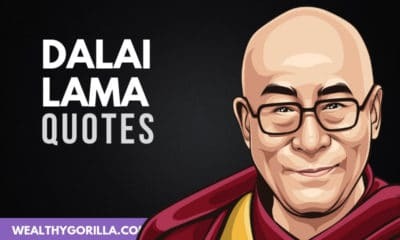 Thousands of motivational quotes are published every single day on social media. The question is: out of all these different accounts, which should you be following and why? 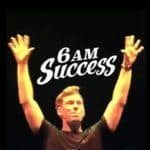 6AM Success has over 1,400 posts on Instagram, and a goal to inspire 10 million people worldwide. 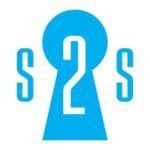 They have a mobile app currently being developed, and you should definite be following them if you love motivation! 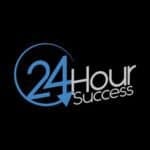 24 Hour Success has over 2,600 posts on their account; all incredibly motivational! 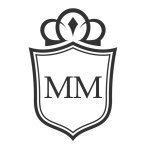 They are another great account to follow, especially if you’re an entrepreneur. 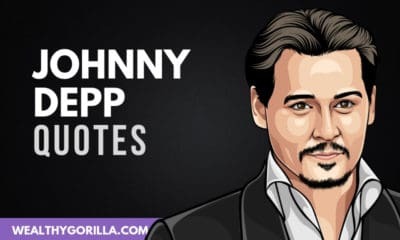 Motivation Mafia has amassed an enormous amount of followers on Instagram, and was one of the original accounts to start posting motivational quotes on the social media network. 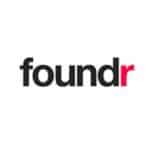 Foundr has become famous not only on Instagram, but to all other entrepreneurs and businesses looking to grow their instagram accounts. Foundr has released several guides on how you can grow your followers just like they did. 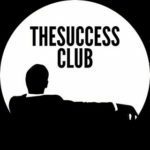 The Success Club has posted over 2000 photos on Insta, and has amassed a very large following. Don’t forget to add them to the list of your favorite motivational Instagram accounts. 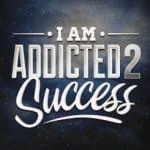 Addicted2Success is one of the most viewed motivational websites in the world, and has been viewed over 110 million times. This Insta account is the home of the A2S picture quotes, and is definitely another account to be following. 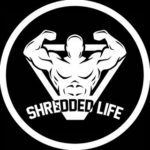 Shredded Life is aimed at bodybuilders and fitness enthusiasts, which is slightly different to the target audience of other accounts on this list. However, some of the pictures they post serve as the best motivation for anybody looking to transform their body. 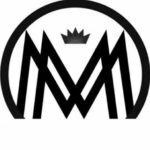 Millionaire Mentor has 2.1 million followers on Instagram. That’s crazy! You guessed it? It’s one of those accounts that shows pictures of the fancy cars, the awesome homes, and the all round luxury lifestyle. You’d be missing out if you weren’t following them. The founder of Secrets2Success grew his account to such an enormous following, that he was able to make 6 figures from promotion deals. I like the fact they share success stories and not just quotes. 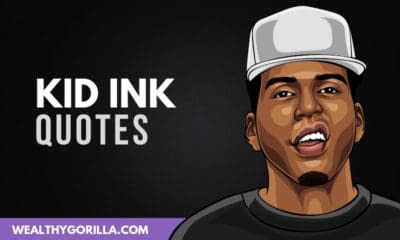 Ambition Circle shares picture quotes for all the aspiring entrepreneurs out there. 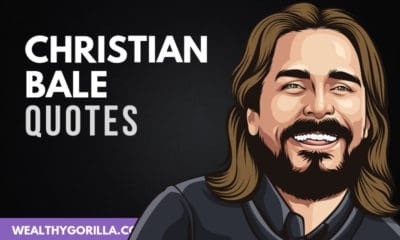 If you’re an entrepreneur, you’ll want to make sure you’re following this account. Mindset of Greatness helps you to stay motivated and focused on your goals. 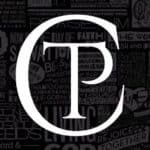 Another awesome motivation accounts that deserves to be on this list. 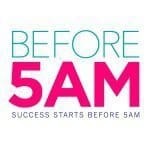 With almost 3000 picture quotes posted on Before 5AM, there’s plenty of motivation to go around! Are you following them? 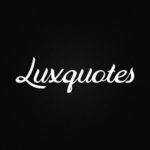 For all those incredible motivational quotes, check out the Lux Quotes page! They have over 700,000 followers, and shouldn’t be ignored. 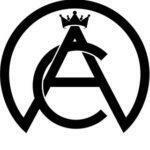 This account’s specifically for the females! 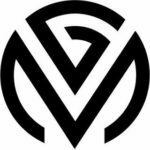 Whether it’s beauty, fitness, travel or fashion, this is a perfect motivational account for all women to follow. 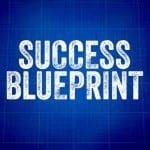 For all the ambitious people out there, last on the list is Success Blueprint. Don’t forget to check them out and be inspired! Suffering from the Monday blues? No problem; just follow Motivation Mondays on Instagram and they’ll fix that problem for you. 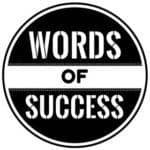 I love the images on Words of Success, and I know you will too. Go ahead and check out their account. 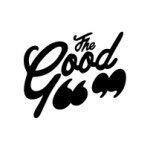 The Good Quote has amassed almost 13 million followers on Instagram! That’s incredible! They’re slightly different from the normal “motivation” quote accounts, and provide picture quotes that trigger a wide range of emotions. 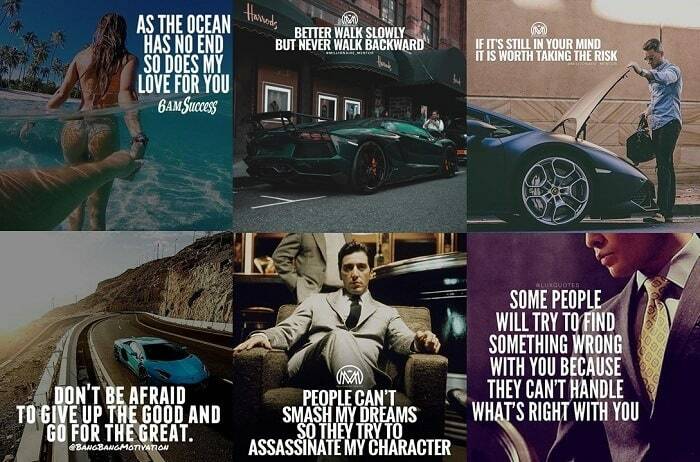 The Classy People has almost 1 million followers, and posts great motivational picture quotes. Help them reach 1 million fans and give them a quick follow! 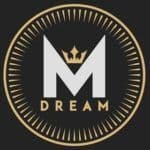 Last on this list of the best Instagram accounts to follow for motivation, is Millionaire Dream. Don’t forget to follow them on top of all these other accounts to complete your motivational arsenal. 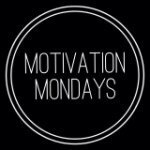 Which of these motivational Instagram account is your favorite? Leave a comment below.